In Venice, you’ll find houses for sale across all sizes, price ranges and locations, so there’s always going to be a great property to match your needs and wants. Suncoasteam is the only name you need to remember when you’re looking to find all of the best available homes for sale in Venice, Florida. You’ll find houses for sale across all sizes, price ranges and locations, so there’s always going to be a great property match your needs and wants. Venice, Florida is a small city in Sarasota County, FL on the Gulf of Mexico. Venice, FL is just south of Sarasota. The island of Venice, FL has a lively downtown with beautiful beaches and no section in Venice is far away. Venice, FL is a haven for outdoor fun and activities. The downtown island area is packed with wonderful shops, restaurants and nightlife. The island beaches are among the best and nicest in Florida with an open, uncrowded feel. NO HOA, NO DEED RESTRICTIONS. Less than 2 miles from the Manasota Beach , to all shopping plazas, restaurants, theater, Home Depot, and Golf Courses. Brand new home on oversized 120x100 feet lot.All windows and sliding doors are hurricane protected. Solid wood kitchen cabinets in modern grey color, beautiful granite countertops in kitchen and bathrooms, modern color waterproof laminate through whole house. 6 inches baseboards all over the house. Big 20x10 feet lanai under the roof. Oversized lot 120x100 feet allow to store boat or RV on the property. 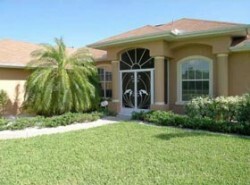 Which types of houses for sale in Venice, FL are the most intriguing to you and your family? You can search and sort by features such as water frontage, or water access. Or maybe a newer property is more important than an older one, or you want a larger lot or acreage, more square footage, or more total bedrooms and baths. You can always find what you need here on our site, and with great photos of each property, virtual tours, maps and more, you have all of the information and details you need to make informed decisions as you narrow down your selection and pick your favorites. So please feel free to browse our entire site for its collection of South Venice, Venice and Venice Island, Florida homes for sale, to search by your own specifications, or to call our office directly with any questions or for more information. If you decide the Venice, FL area isn’t for you, we have listings for all of Southwest Florida. We know we can help you find that perfect home. You can reach us at 941-235-7474 or sales@suncoasteam.com and we’ll help get you started with a quick and hassle-free search in your quest to find the perfect homes for sale in Venice, Florida.